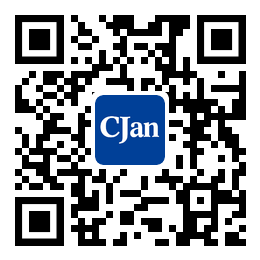 ﻿ Stainless Steel Pipe Fitting - CJan Fluid Technology Co., Ltd. It is one of the pipe fittings. It is made of stainless steel so that it is called stainless steel pipe fittings. It includes: stainless steel elbow, stainless steel three, stainless steel four, stainless steel different diameter pipe, stainless steel pipe cap. According to the connecting method, it can be divided into these four kinds of stainless steel pipe fittings: the plug-in for the stainless steel pipe, stainless steel pipe thread, flange and welding of stainless steel pipe fittings . Stainless steel elbow pipes is used for the turning point; flange for the pipe and pipe interconnected parts, connected to the pipe end; three stainless steel pipe is used for collection where three pipes gather; four stainless steel pipe is for four pipes together place; stainless steel pipe fitting is used in where two pipes of different diameters are connected. Stainless steel pipe fitting is referred to a variety of stainless steel pipe connecting parts; it can be divided into different categories in accordance with the shape, use and connection mode. It has the advantages of convenient installation, high performance, durability and other characteristics, and is widely used in all kinds of pipeline construction and installation. Stainless steel pipe can be divided into three links, stainless steel, stainless steel flanges, stainless steel head, stainless steel elbow, stainless steel pipe, stainless steel head and so on. Iron and steel is distinguished by how much carbon they contained. The carbon content in the iron carbon alloy steel is below 2%, the carbon content of more than 2% is called iron steel. Because steel has toughness and elasticity and rigidity, it has been widely used. In life we mostly contact with steel, but people use different names to call steel. For the stainless steel, a magnet can stick on whether or not, as long as it meets the quality standards, it is stainless steel.